Jerry was teaching the Synoptic Gospels for our first year class. Jerry was also at EBS last year and its been nice for our at meal times to have some familiar faces and get to know our VP's a little bit more. Larry and Verna were teaching music and theory in the library right across from our house. There was some beautiful singing coming from the library in the mornings. Larry's parents were missionaries in Haiti and every time he comes back he brings a different one of his kids. This time was Lauren's turn. Joyce was here teaching the very first class in our new Masters in Education program. This class consisted of 40 men and women, teachers, administrators, principles, missionaries and government officials. 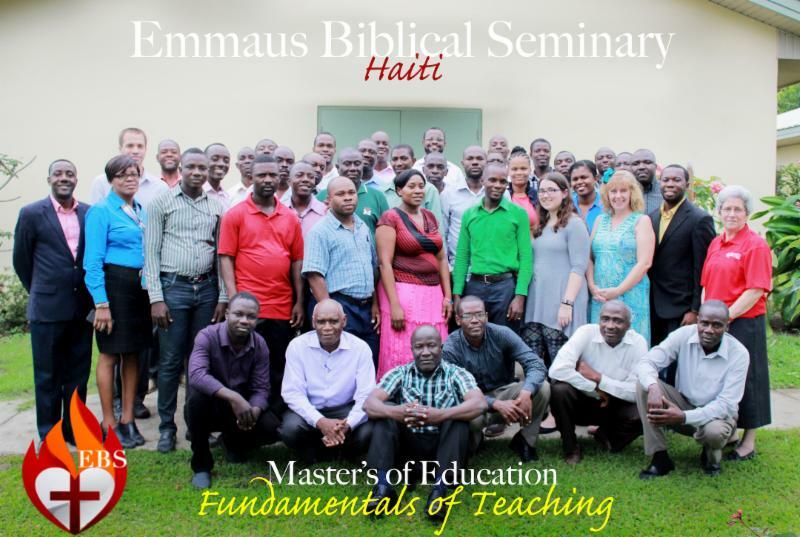 What an opportunity to help these men and women incorporate Christ into their jobs in schools all over the North of Haiti. Many of these teachers and administrators do not have a lot of training or resources and often things are being done they way they have always been done, which in Haiti mean rouge learning. This course will have one week intensive class every 6 - 8 weeks for the next 18 months. And yes you do see Bill in the picture. This is a wonderful opportunity for Bill to learn and improve in the classroom. The second course is happening this week so Bill is back in Haiti, this weeks course is studying 'understanding the learner'. To read more about why EBS is holding this course and to see exactly what the students are studying click here to take you to the EBS website. The boys and I staying mostly indoors and getting to know baby Jacob. Poor Joel, he's not impressed!